State College Area School Board on Monday approved another step toward adding lights to the high school's South Track. Once completed a lighted South Track field would give the marching band a more convenient space for evening practices, as well as expanding athletic field capacity after dark. The band currently uses the north parking lot, and could use the new, lighted north field once it is completed in the spring. But the band's equipment is in the new south building's performing arts wing and the South Track field would make for a much shorter walk for the 200 band members with their instruments and other gear. It also would free up the north parking lot for use during those times. 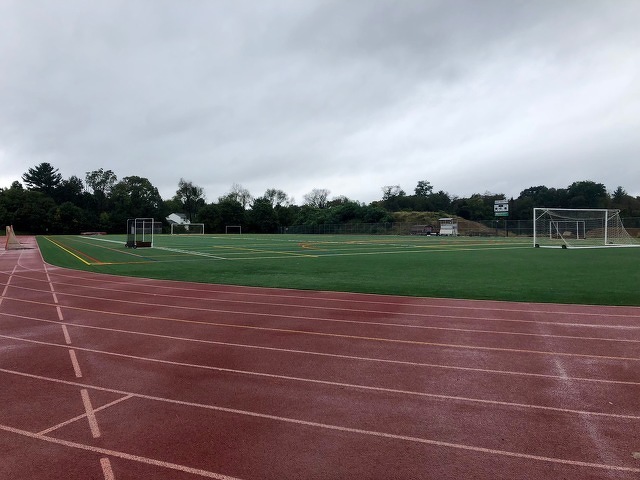 The district must request a text amendment to the State College Borough's zoning ordinance to allow for sports lighting, up to 70 feet high, in the R3B zoning district. The board approved on Sept. 24 a $1,000 consultant expenditure to prepare the text amendment for submission to the borough. Since then, however, the district learned the borough requires a $2,500 filing fee for text amendments. Board members unanimously authorized up to $5,000 for any fees or other charges from the process. The amendment will go to State College Borough Council, which then would need to refer it to planning commission for a recommendation. A public presentation will be required before final consideration by council. If the amendment is approved, administrators will provide a capital financing presentation to the school board prior to requesting final approval for the project. In August, the school board approved a proposal from Musco Sports Lighting to install field lighting for $437,220 at the new north field. Ed Poprik, district director of physical plant, said at the time that the district is working with the borough to ensure that lighting complies with borough ordinances and does not disrupt surrounding neighborhoods. The board also approved replacement of air conditioning equipment, and the addition of a dedicated dehumidification unit, at Mount Nittany Middle School for an estimated total project cost of $1.76 million. Replacement of the chillers, cooling tower and associated equipment had been scheduled for this year as part of the physical plant's five-year capital budget. The equipment was installed when the middle school opened 23 years ago and is nearing the end of its useful life. When planned five years ago, like-equipment replacement was estimated at $494,000. Local architects have since suggested changing the chillers from water cooled units with an exterior cooling tower to air cooled units, which removes the cooling tower from the project and moves the chillers outside the building. Poprik said this would move noisy equipment outside the building and reduce maintenance through the removal of the cooling tower. The updated estimate is $845,000. A new, dedicated dehumidification system wasn't part of the original plan and until this summer the inherent dehumidification function of the air conditioning system sufficed. Record-setting rainfall throughout the summer, however, resulted in mold in the building, which Randy Brown, district finance and operations officer, said has so far resulted in $300,000 in clean-up and equipment rental costs. Poprik said it was the first time that there was an issue with mold in the building. The dehumidification system is estimated at $914,500. Rooftop units would deliver fresh, dehumidified air into the building, which the air conditioning system would then cool. Board member Dan Duffy ultimately voted in favor of the project, but said he had concerns the cost would impact other needed expenditures later in the year. Several board members said the dehumidification unit was needed to address a potential health issue, and the climate change indicates hot, wet summers may become more of the norm. The project now will be put out for bid. Prior to awarding the bid, an updated capital funding plan will be shared with the board for approval. Board members authorized advertising and bidding for asbestos removal as part of two elementary school renovation and construction projects. Corl Street and Radio Park elementary schools are both in the midst of major additions and renovations and both projects will be moving into their next phases after the schools' winter breaks. Asbestos removal, which will be funded by the physical plant's five-year capital budget, will need to take place during the winter break for the next phases to move forward, Poprik said. A capital funding plan will be shared with the board prior to awarding a bid, which will require board authorization. Work on the two schools is expected to be substantially completed in the summer of 2019. Houserville and Lemont elementary schools also are merging in a new school being constructed at the Houserville site, which is also expected to be completed next summer. 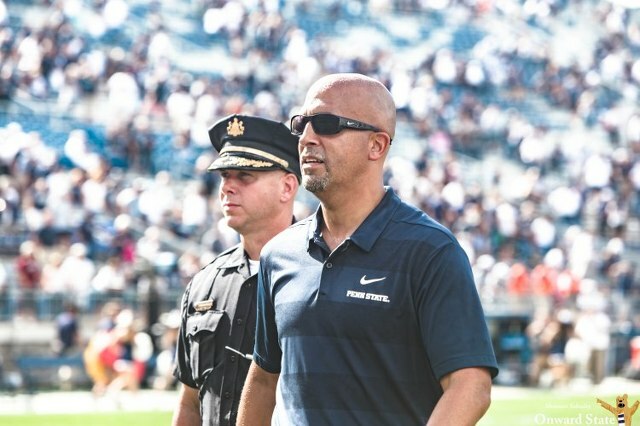 Penn State football will unveil a new Homecoming tradition and celebrate its past before its game against Michigan State this weekend.